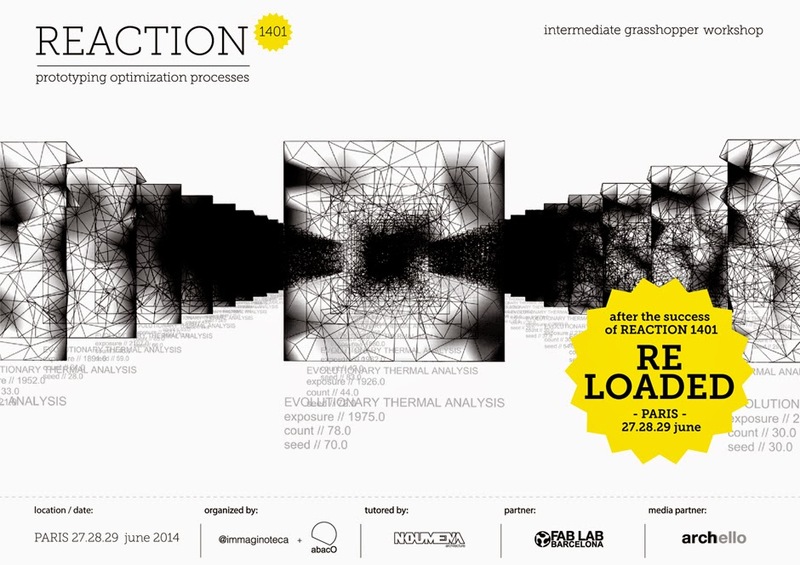 The first REACTION 1401 took place in Paris in March 2014. Check the video here. Design in contemporary architecture focuses on being evolutionary and responsive to the socio-technological contexts and to people’s needs. REACTION 1401 focuses on understanding and controlling the logics of genetics and evolutionary algorithms. Those evolutionary solvers apply the principles of evolution found in nature to find an optimal solution to a problem. We will explore the potentials of those design techniques. Environmental and energetic data will be the main inputs of those processes that will drive our design choices towards flexible, progressive, interactive solutions.